I love this jojoba oil from Foxbrim! Can you hear the excitement in my voice? Yes, I really do 100% love this product! The jojoba oil is so light I can saturate my hair with it and get lots of softness and shine without any greasiness or drooping. I can also apply the oil to my skin and have it vanish in seconds, leaving me feeling comfortably hydrated without being sticky or tacky. Best yet, to me the jojoba oil smells a little bit like coffee! I am not sure if it smells like coffee to other people, or if I just have a weird nose, but I happen to be a coffee addict, so to me this scent is fantastic. The aroma is also light like the oil itself, and not at all overbearing, so if you don’t like coffee, I don’t think this scent will bother you. I am also excited that I like this jojoba oil so much because I needed a good carrier oil to help me make bath salts and scrubs with my lemon oil. Used alone, the lemon oil can be too strong. The jojoba oil dilutes the lemon oil enough that it does not cause irritation, ensuring I get a brisk lemon scent without any burning or sensitivity (note: citrus-based oils can sting if not diluted with carrier oils). 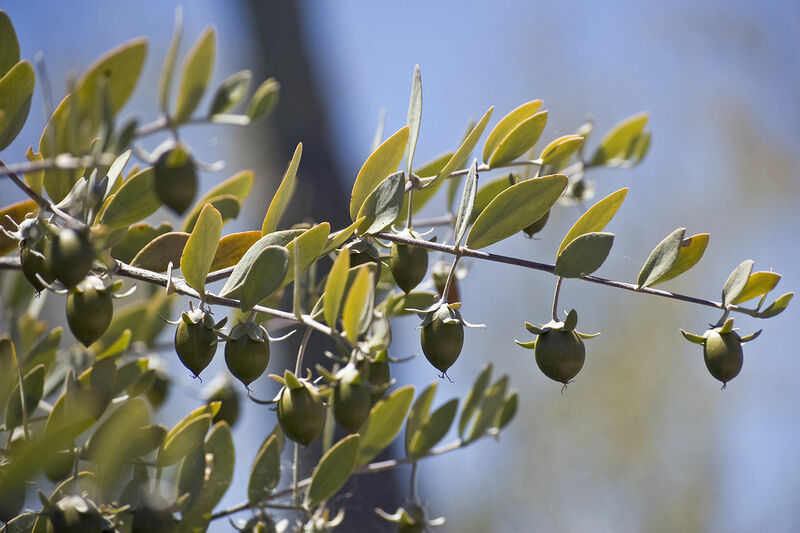 I have also heard that jojoba oil can be used for shaving and scalp massage–two applications I have not tried yet, but plan to try next. All in all, this jojoba oil delivers on all it promises and is so versatile it will become a staple in my bath and body product arsenal. If you are interested in blending essential oils for use in your skin care and hair care, you should consider this jojoba oil as a non-irritating, proven carrier oil. Side note: I was given a free sample of this product in exchange for my honest opinions.